Join the Snowflake User Group community to make the most of your experience using the data warehouse built for the cloud. 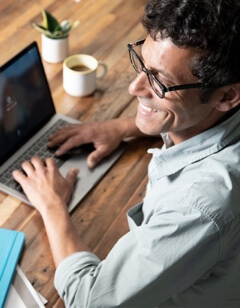 Organized and hosted at locations in cities and towns near you, Snowflake User Group meetings bring together like-minded data and analytics experts to share ideas, address data challenges, and help create a path for maximizing the value of Snowflake, both now and in the future. Make recommendations for future discussion topics that will advance the collective knowledge-base of data and analytics professionals using Snowflake. Provide valuable insight by sharing your company’s real-world use case. Feature how your team is maximizing the benefits of Snowflake’s complete SQL database, zero management infrastructure, and more. Learn from Snowflake experts about the future of the Snowflake product roadmap. Get a peak at what’s to come and plan ahead to leverage essential new features when they arrive. Snowflake User Group meetings are a forum for growth and change. Share your voice, be heard, advance your professional network, and begin laying the groundwork for planning and hosting a future Snowflake User Group event at your company location. 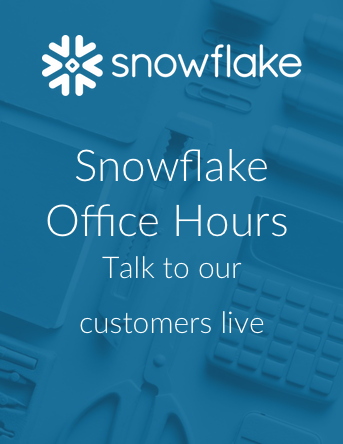 Interested in Hosting a Snowflake User Group? The Snowflake team is here to help you jumpstart a plan for hosting your own Snowflake User Group meeting. All you need to do is provide a space that’s large enough to accommodate 20-25 people and some basic audio visual equipment, including a microphone and a large screen monitor. We’ll cover the cost for drinks and hearty appetizers. Ready to get started? Fill out the form and we’ll be in touch within 48 hours to offer assistance.